Unique and creative buildings are the architecture of the world that attracts attention of the most people. It has been seen throughout the history that architecture has remained a standard for cultural growth of any society. The Unique buildings in the world are always the representation of the place where they stand or the country it belongs to. 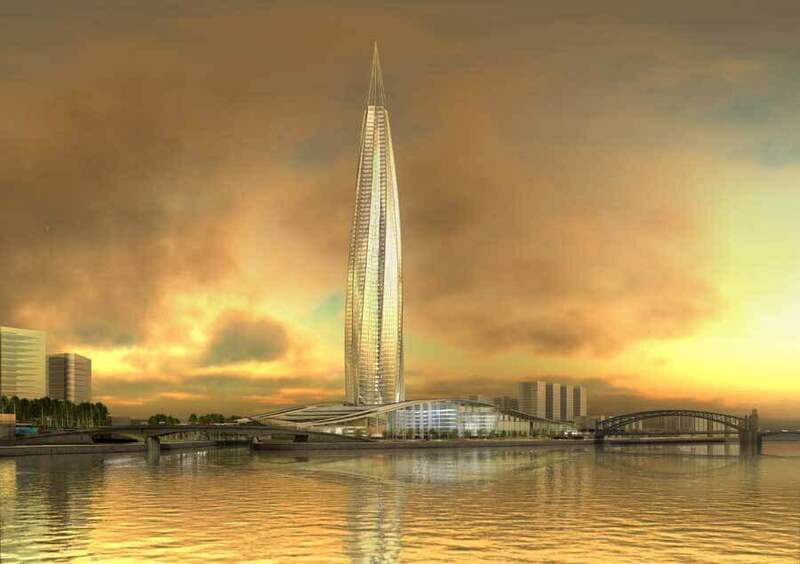 In this advanced world of innovations and enhanced raw materials lets The architectures to design and build Highest building in the world. 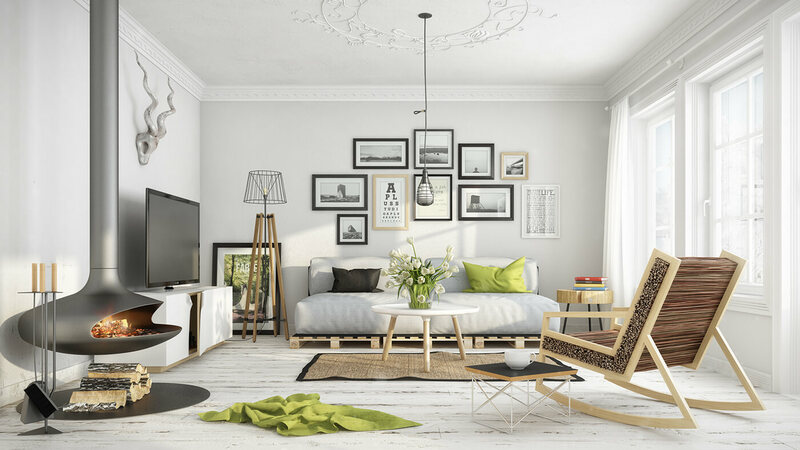 In the below article, you will find 58 such Best buildings in the world along with their details and an amazing picture. Read on and find out the best! 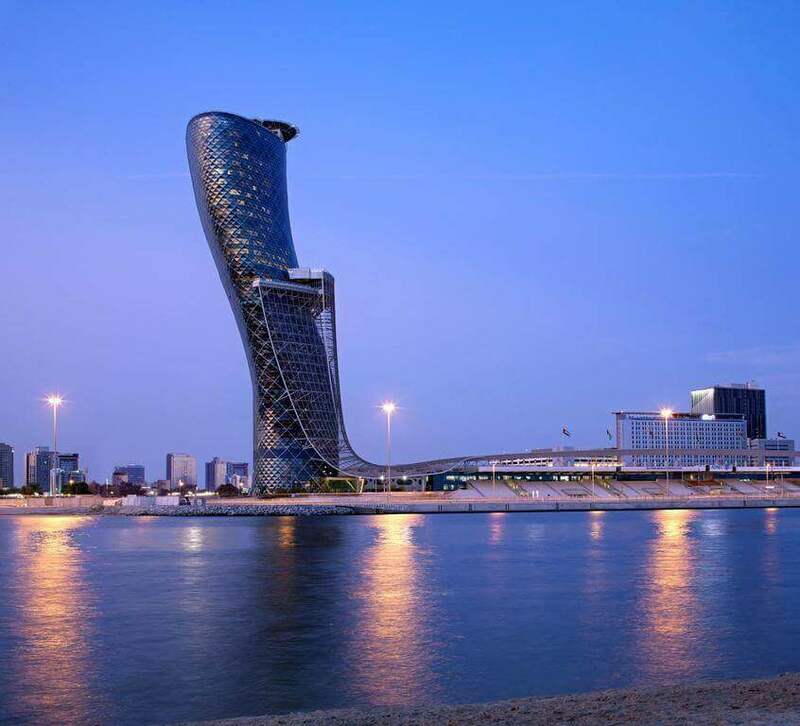 The Capital Gate is a skyscraper in Abu Dhabi designed with a striking lean at 160m. This comes under one of the tallest buildings in the city and inclines 18° west. 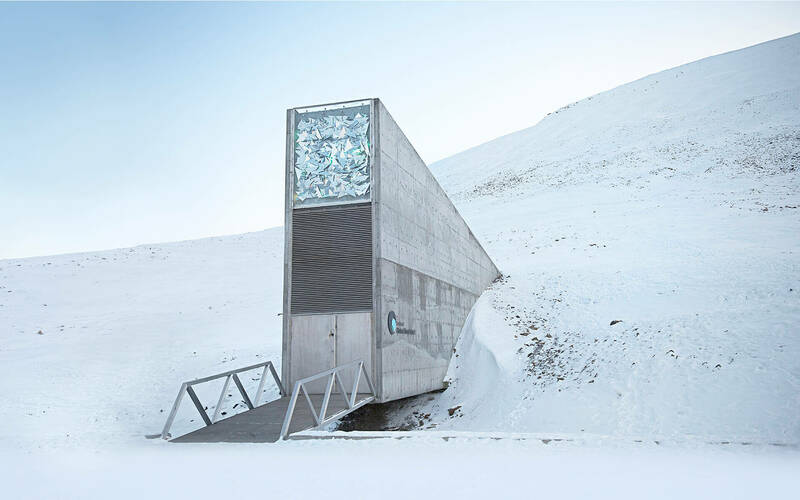 The Svalbard Global Seed Vault is the world’s one and only seed bank which is situated at Norwegian Island near Longyearbyen. It is counted as the most unique building which is build underground. 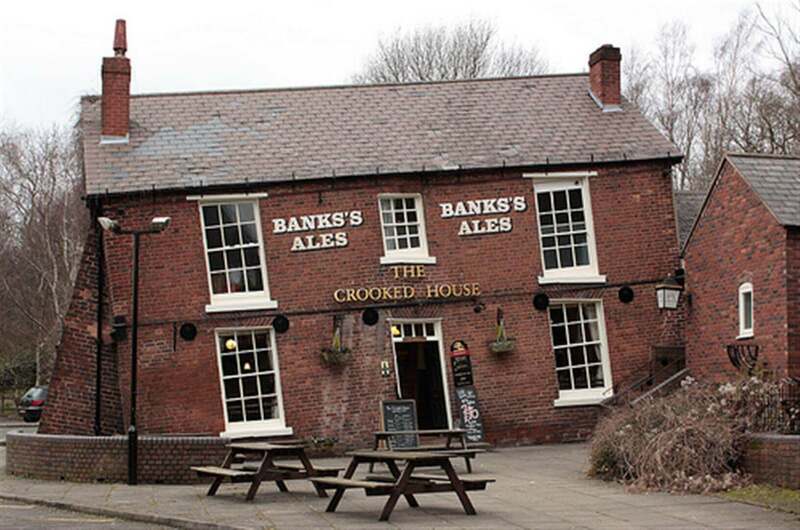 The Crooked House is a pub and a restaurant established since 19th Century and the name is based on the appearance of the building. The Palace of the Parliament is the seat of parliament of Romania that is located in Dealul Arsenalului in central Bucharest. 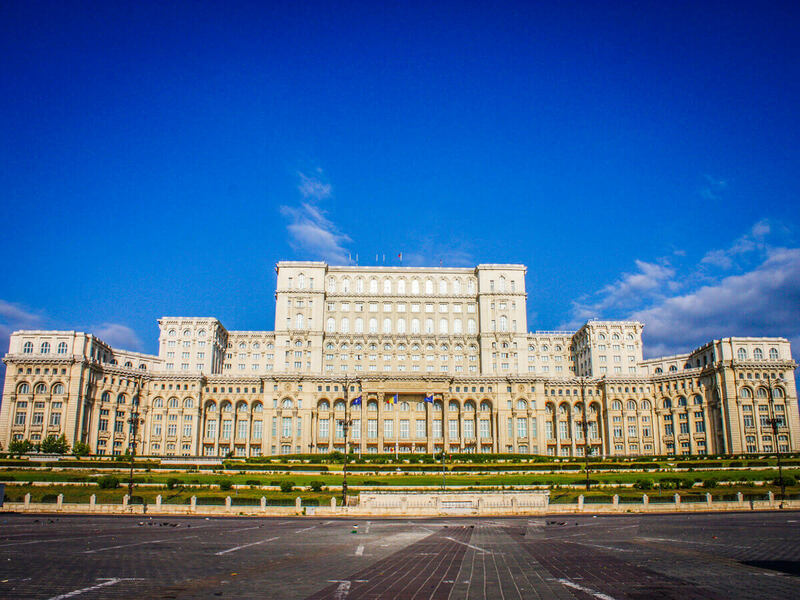 It is the largest administrative building in the world. Turning Torso is a neo-futurist residential skyscraper in Sweden and the tallest building in Scandinavia. 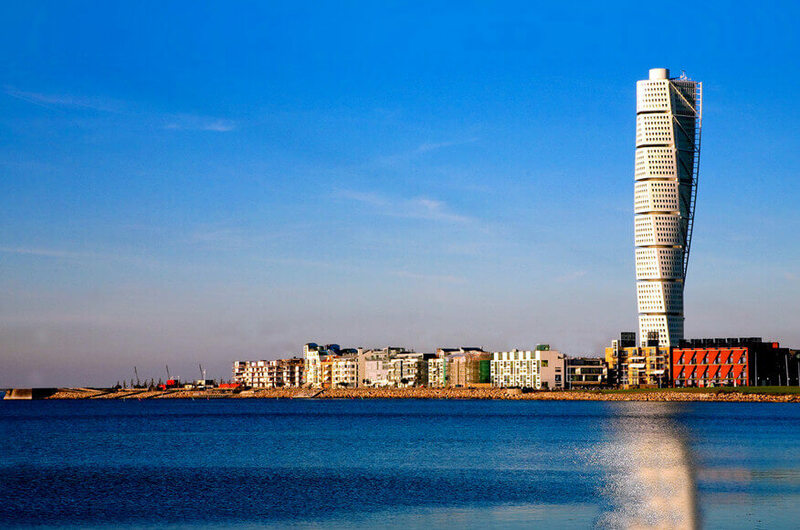 It is located in Malmo on the Swedish side. 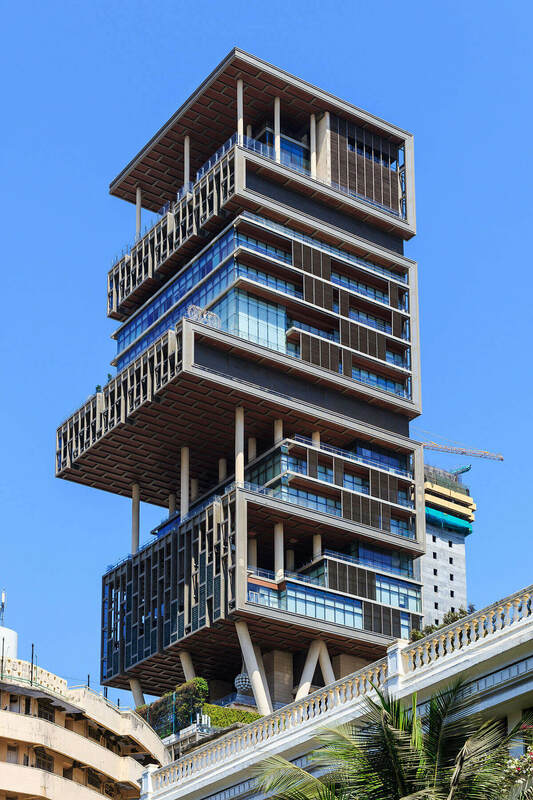 Antilla is a private building owned by Mukesh Ambani in Mumbai, India. Mukesh Ambani is the chairman of Reliance Industries. 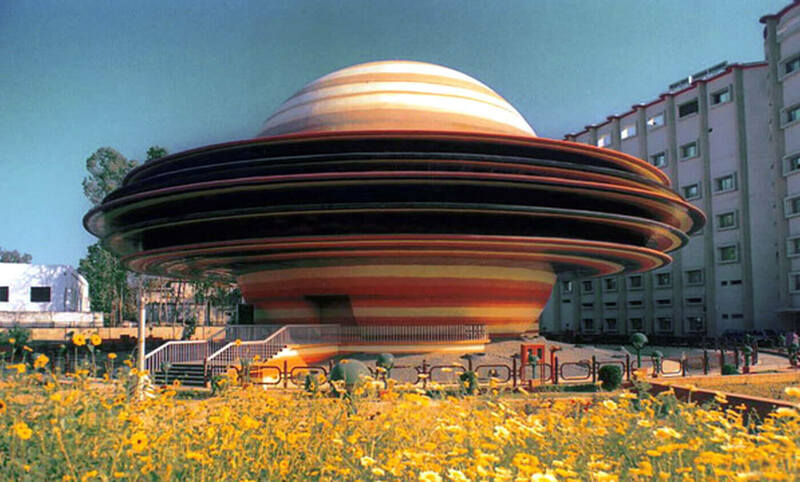 Indira Gandhi Planetarium is a planetarium in Indira Gandhi Science Complex of Patna. The planetarium was constructed in 1993. 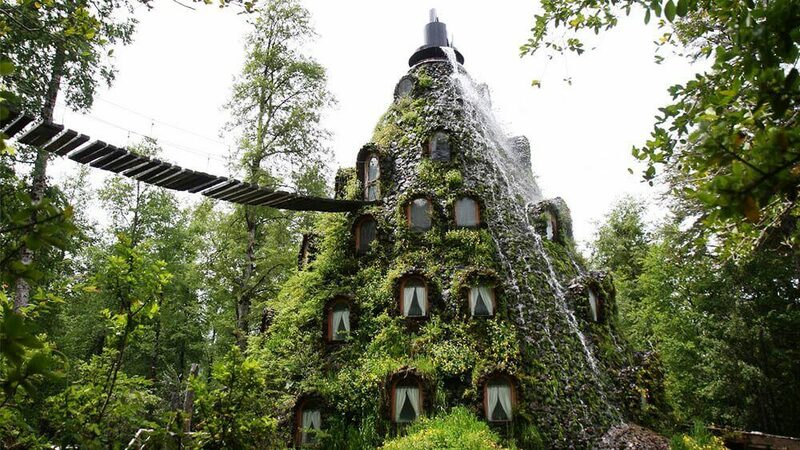 The Montaña Mágica Lodge is exclusive hotel in Chile. The shape of this hotel is as similar to a volcano but in spite of ejacuating lava, this hotel spews water. 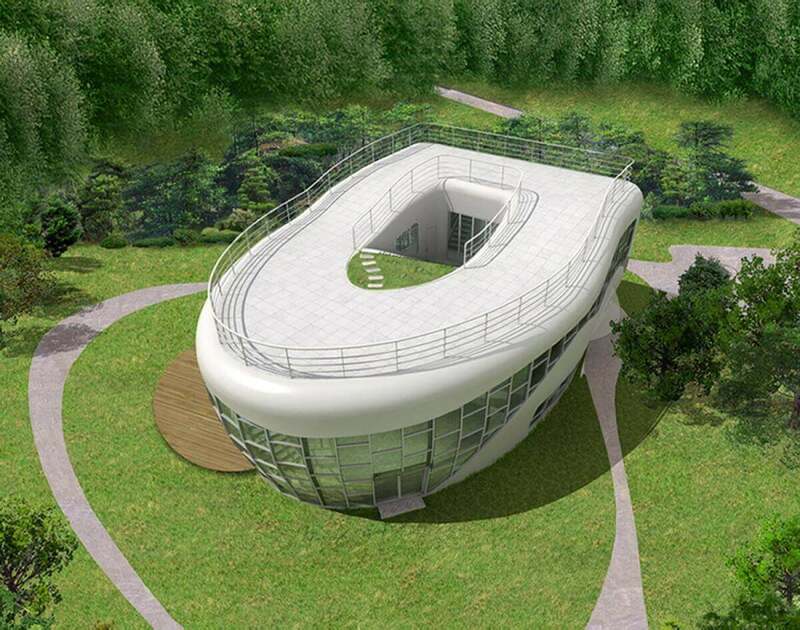 Toilet-Shaped house is designed in an uncommon manner which is situated in Seoul. It was built by Sim Jae-duck, the chairman of World Toilet Association. This house includes three deluxe toilets. 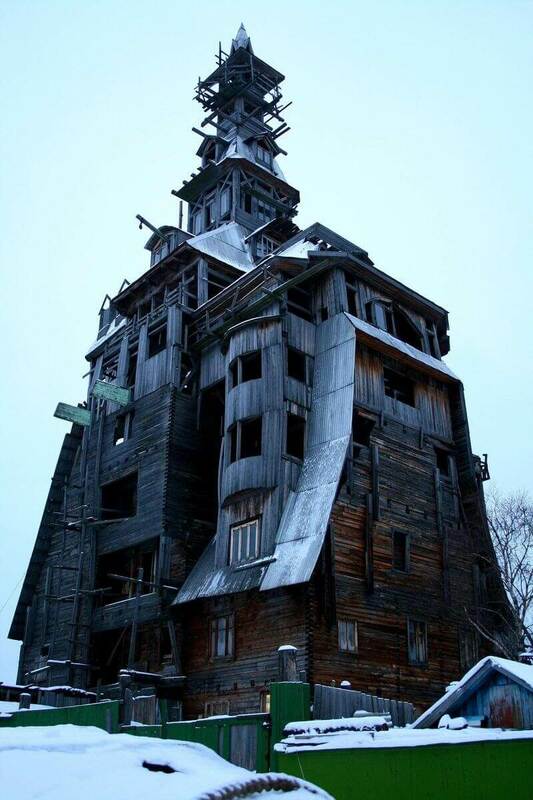 Sutyagin House is named after the crime lord Nikolai Petrovich Sutyagin who took 15 years to build this house. 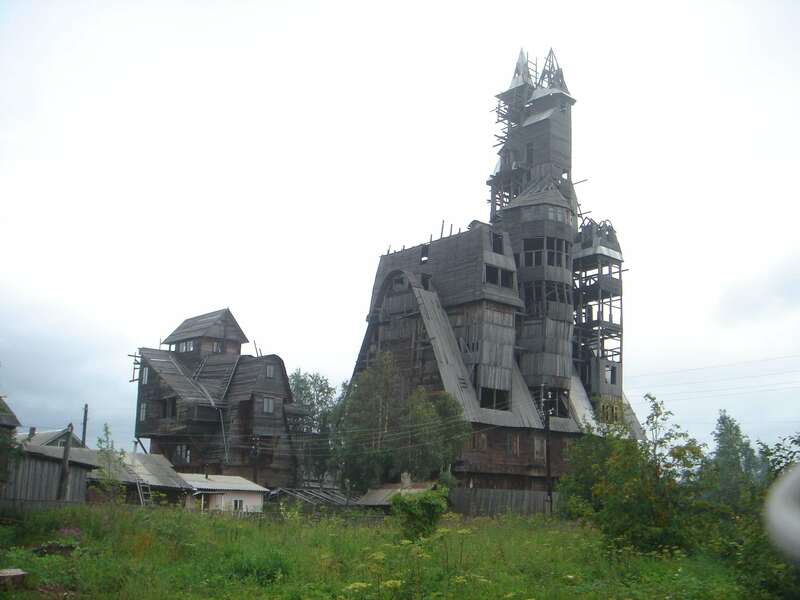 It was known to be the highest wooden house in Russia of 144 ft. But later in 2012, it was burned to the ground. Piano and Violin Building is very unusually designed architecture which is located in Huainan city, China. It is known to be the most romantic place in china. 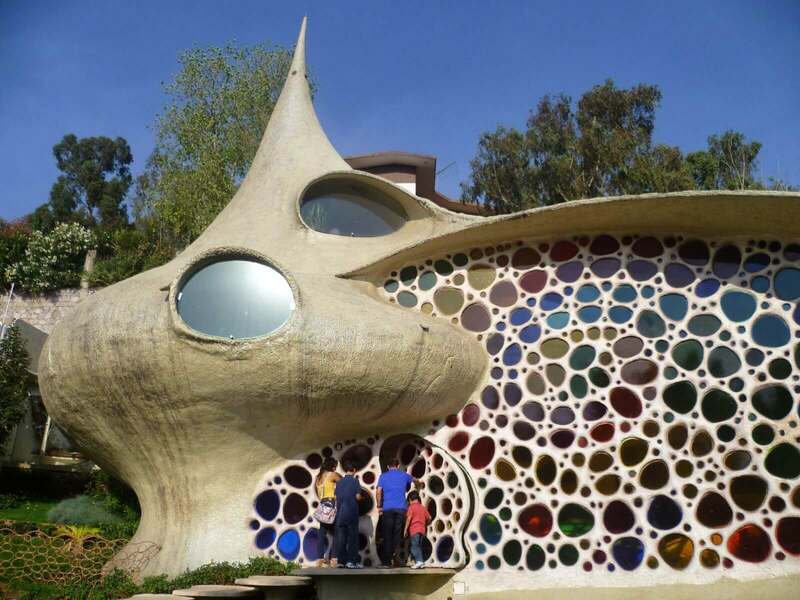 The Nautilus House have very unique shell shaped designed house which located near Mexico city. It is designed by a Mexican architecture “Javier Senosiain”. 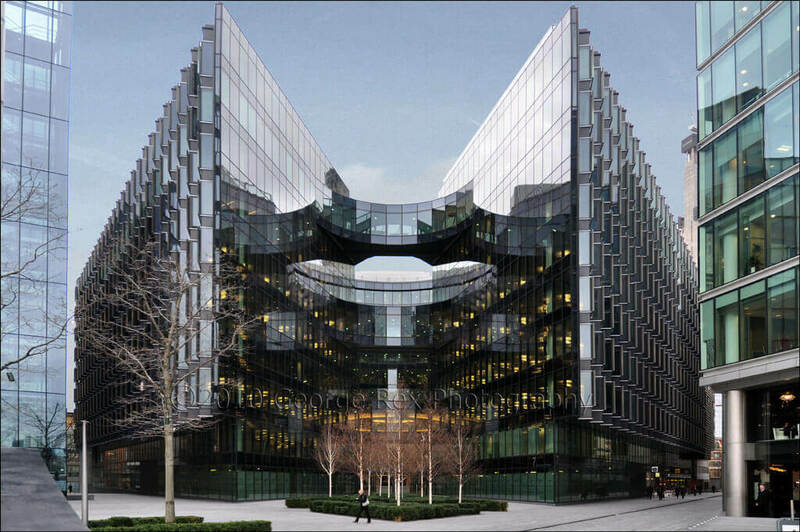 The PricewaterhouseCooper building is a very elegantly designed in an angular horse-shoe shape which is situated in London, United Kingdom. Professionally known as PWC. It is the second largest professional services company in the world. The India Tower is a supertall skyscraper in Mumbai, India which is not yet completely build. 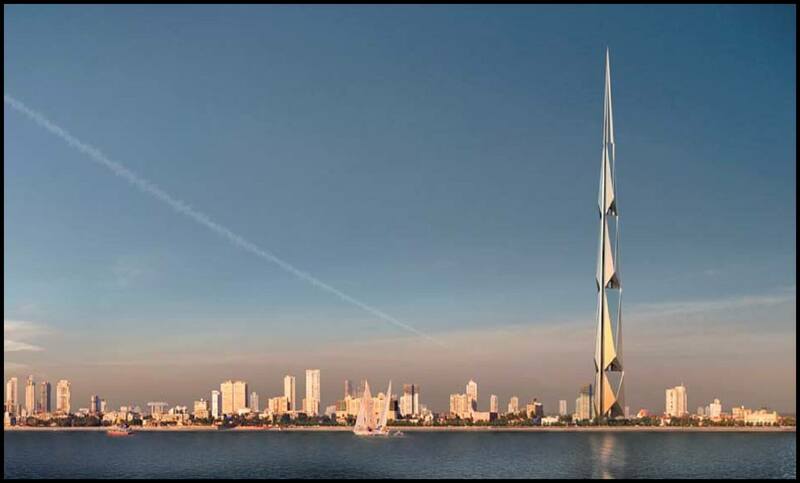 According to rumours, the height of this tower will be 2,356 ft. 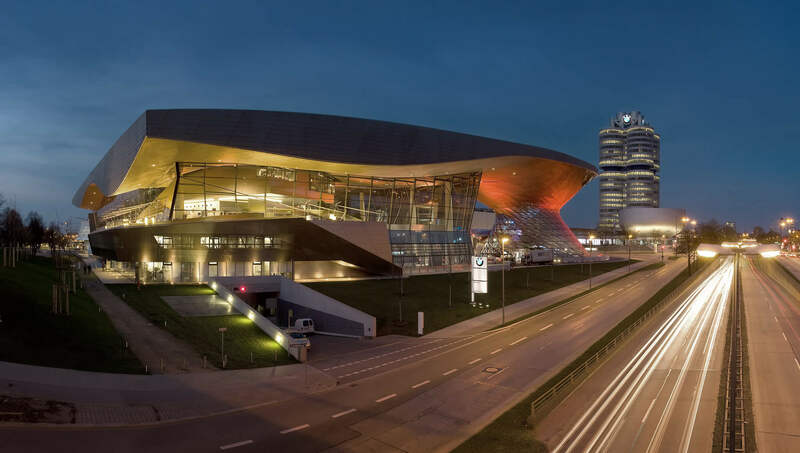 The BMW Welt is a place which used multiple purposes like promotional events, meetings and also a place where buyer take the delivery of their newly bought vehicle. The architecture of this building is made of glass. Cor is a most wonderful building located in Miami. 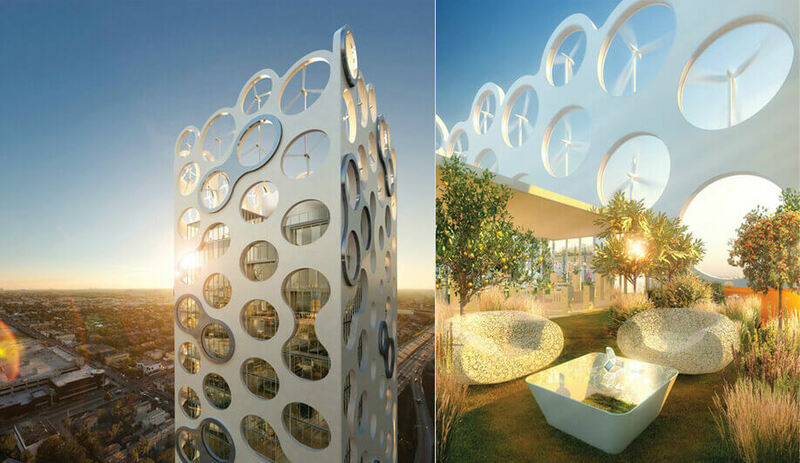 It contains various bubble-like holes that contains wind turbines and garden terraces in order to maximize the potential of the building. 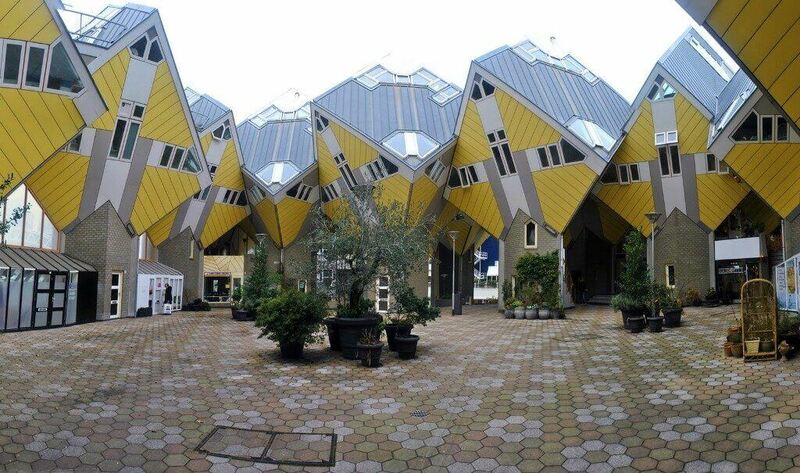 Cubic Houses are a set of innovative houses built in Netherlands. These were designed by architect Piet Blom in the year 1974. The Tower of Glass is a concept building that is supposed to built in the middle of woods. 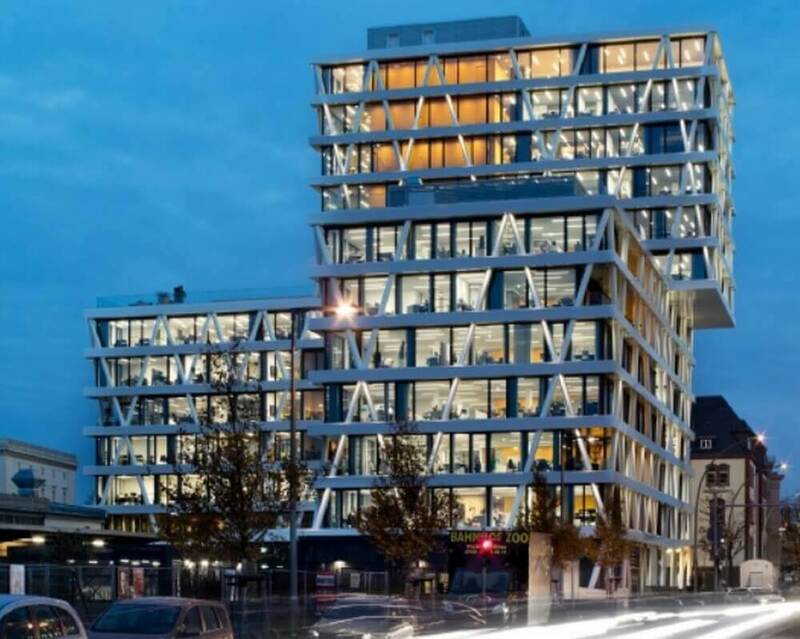 This mind-blowing building is designed to collect the amount of solar electricity. 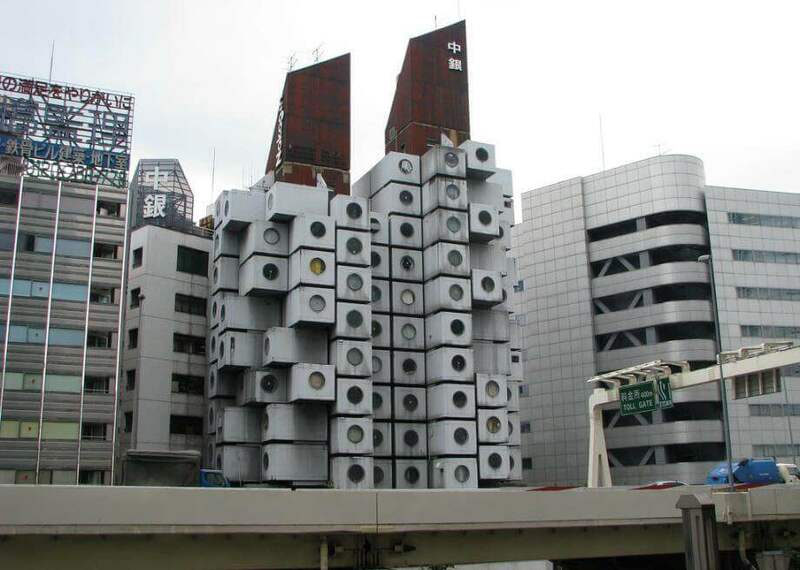 The Nakagin Capsule Tower of Japan is a mixed-use residential and commercial building designed by the architect Kisho Kurokawa. 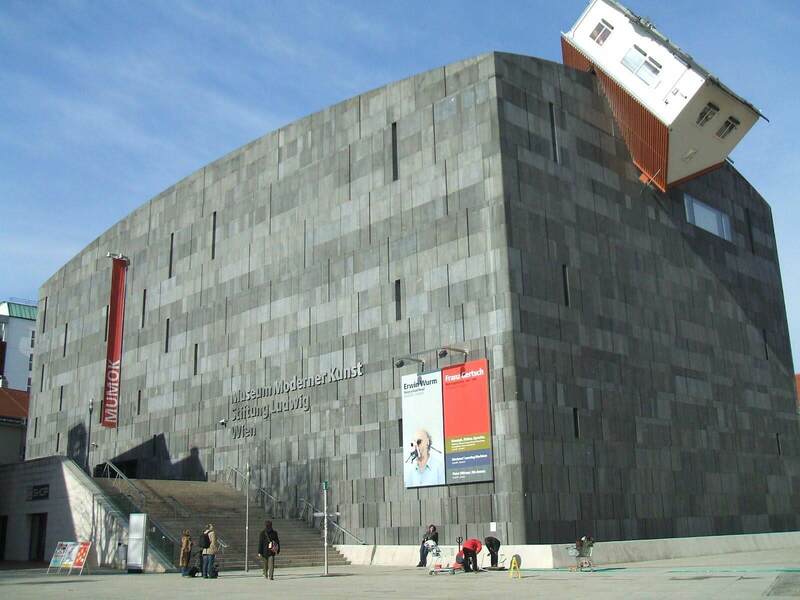 The House Attack is appropriately titled, as it is a building in which a family home is hurtling itself onto the roof installed at a largest art museum of Austria, The Museum Moderner Kunst (MUMOK). The Bank of Asia is located in the Sathorn business district of Bangkok, Thailand. 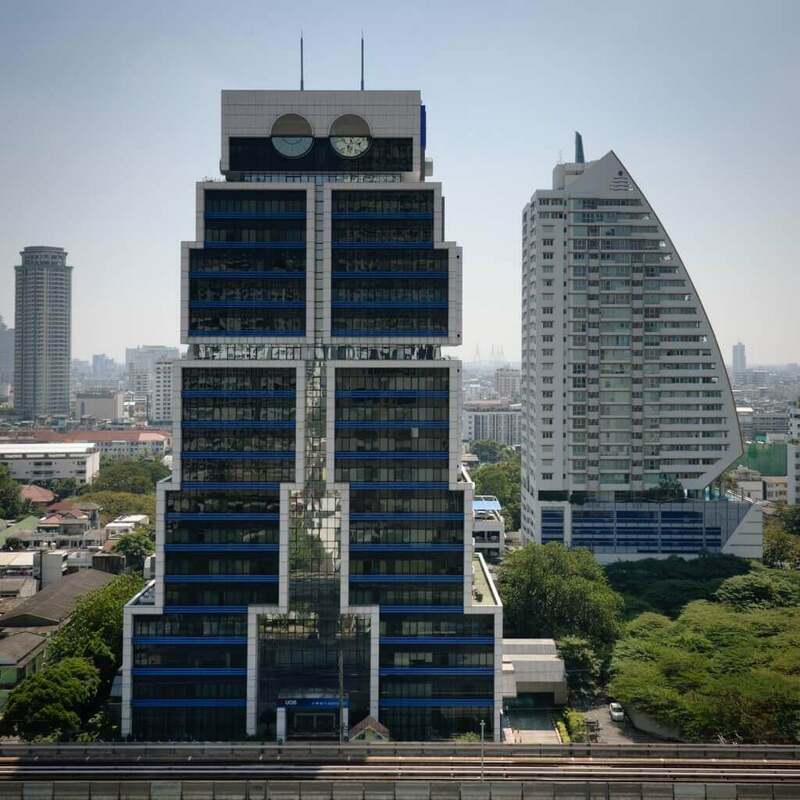 It contains the headquarters of the United Overseas’ Bank of Bangkok. 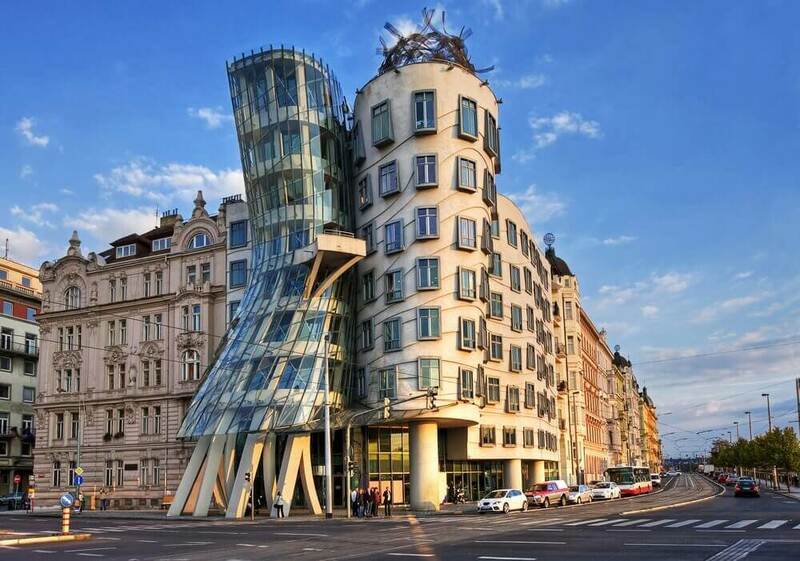 The Nationale Nederlanden building is nicknamed as the dancing house located in Prague, Czech Republic. It was built in the year 1996. 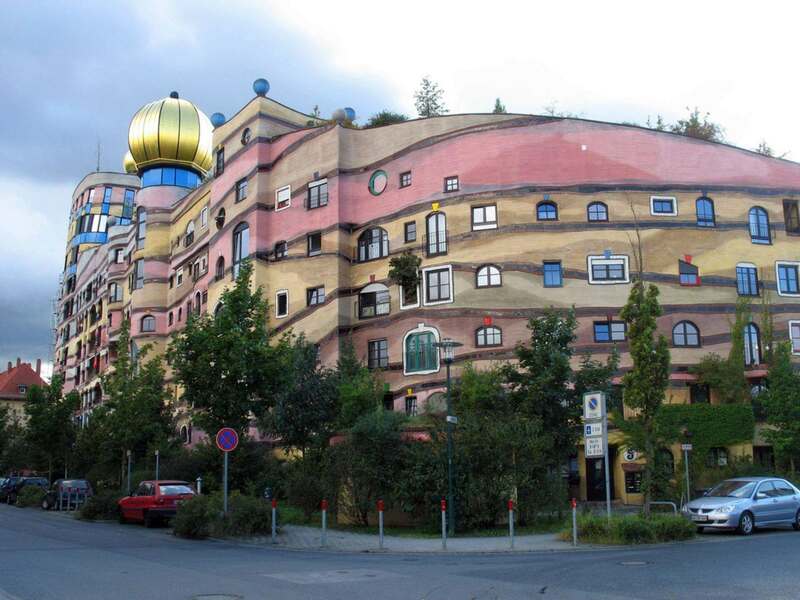 The Hundertwasser is a wonderful building located in Darmstadt in Germany. This is a very creative residential building containing typical grid pattern with windows appearing out of order. The Abu Dhabi performing Arts Center is to be built by inspiration from natural forms. 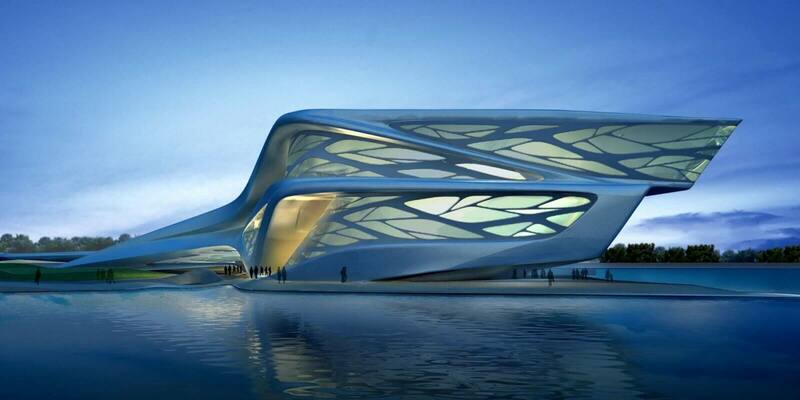 It was designed in 2007 and was a dream of the Zaha Hadid architect. 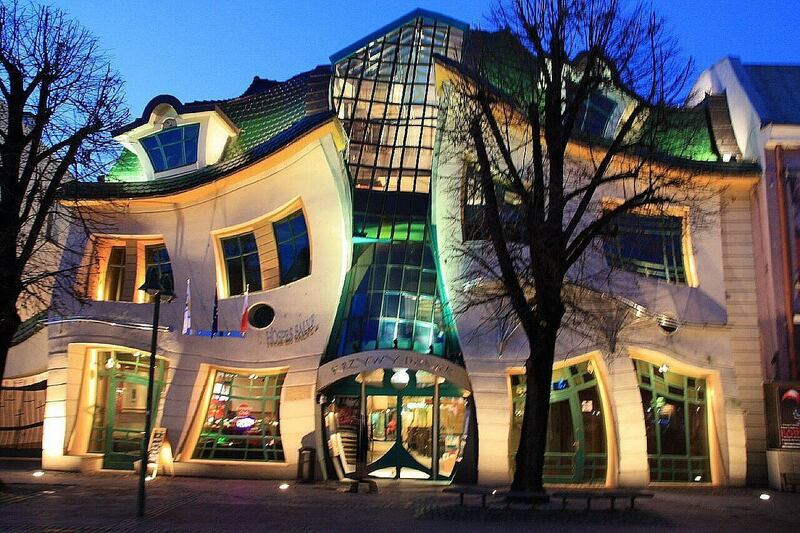 Krzywy Domek is an unusually shaped building in Sopot, Poland. 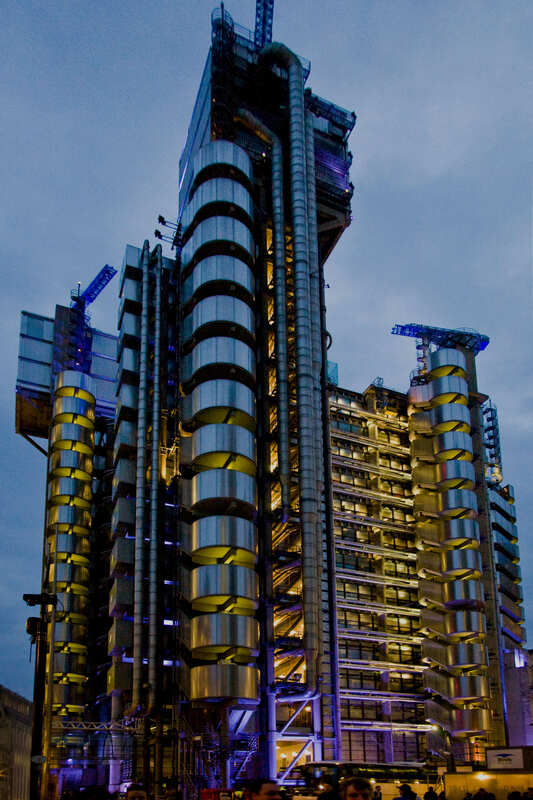 It is 4000 square metres in size and was built in the year 2004. 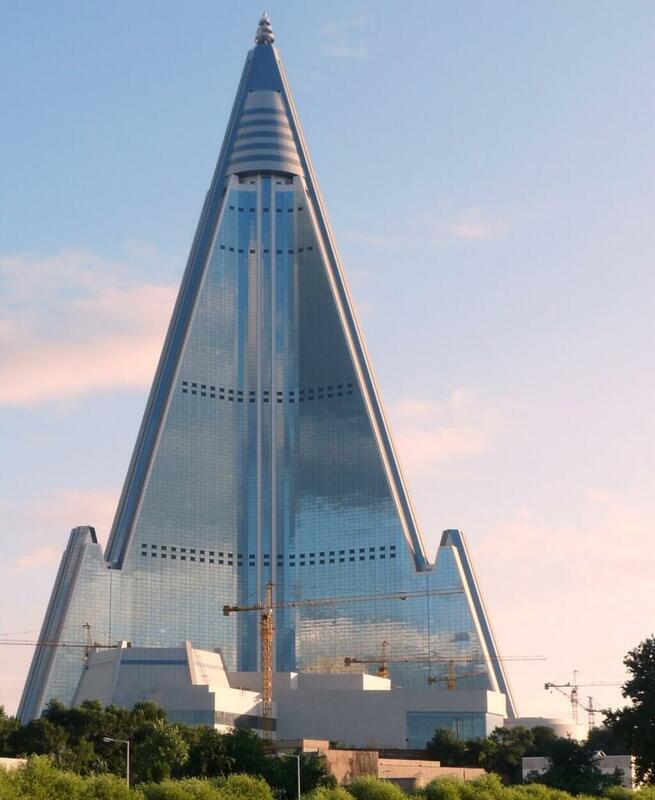 The Ryugyong Hotel is an 105 storey tall pyramid skyscraper in Pyongyang, North Korea. The building is also known as 105 building in reference to the number of its floors. 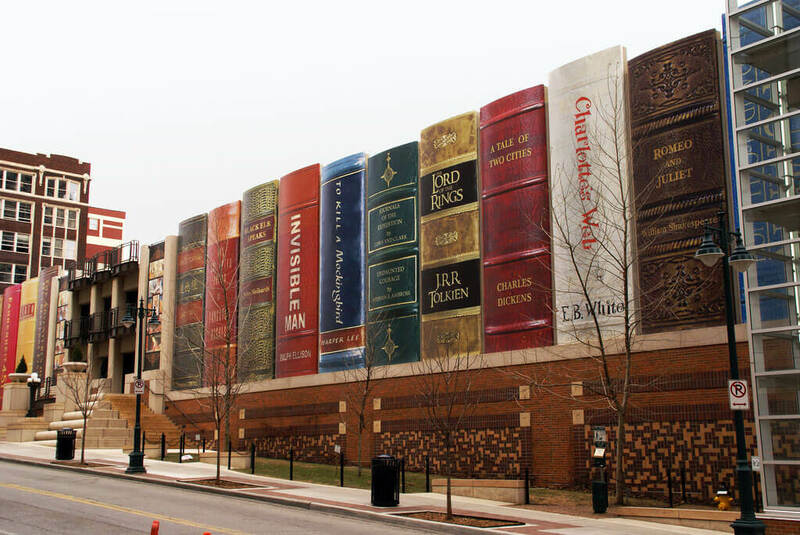 The Kansas City Library is a public system headquartered in the Central Library in Kansas city, Missouri. It was founded in 1873. The Longaberger company is an American manufacturer and distributor of handcrafted maple wood baskets. 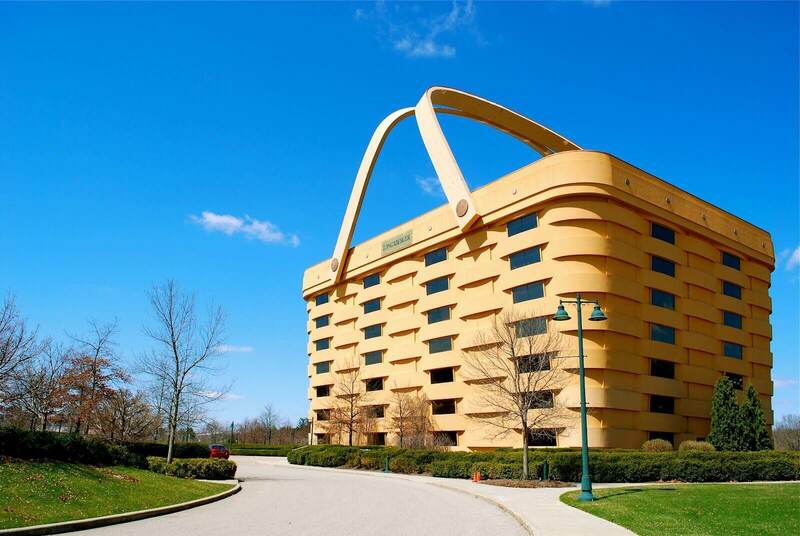 Its headquarters are known as Longaberger headquarters. 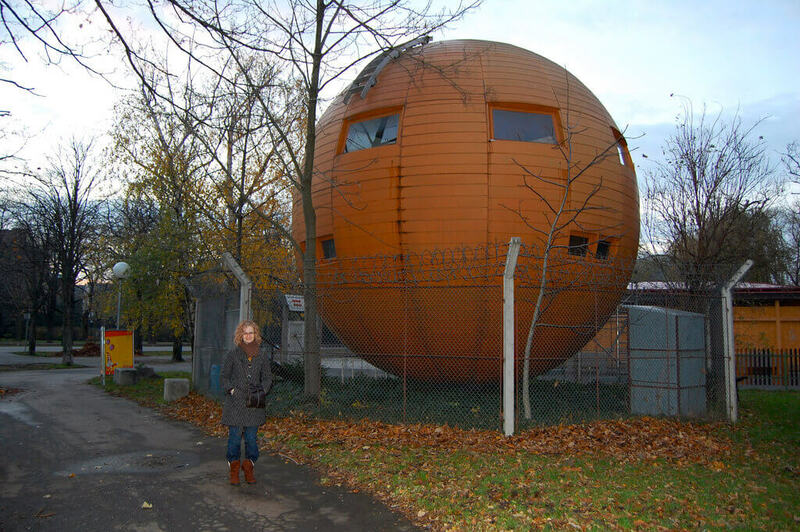 The republic of Kugelmugel is a micronation located at the Prater in Vienna, Austria. The republic was declared independence in 1976. 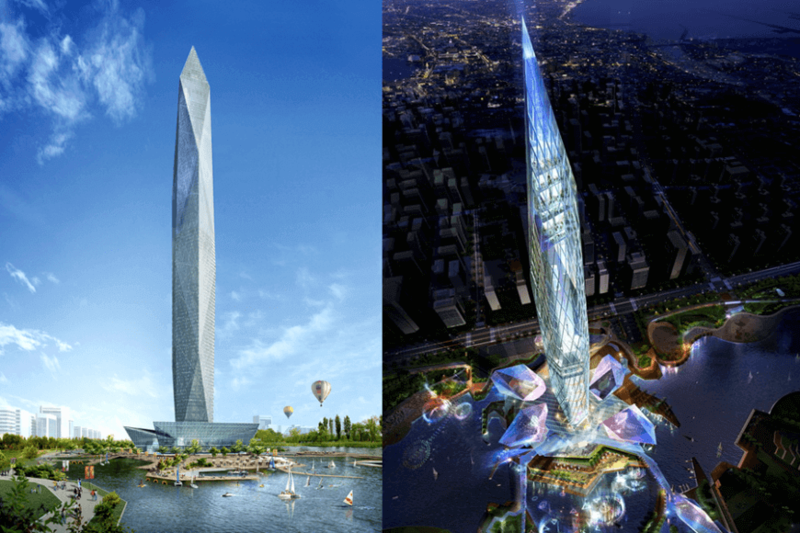 The Tower Infinity is the name given to the Cheongna City Tower that is to be constructed near the Incheon Airport in South Korea. 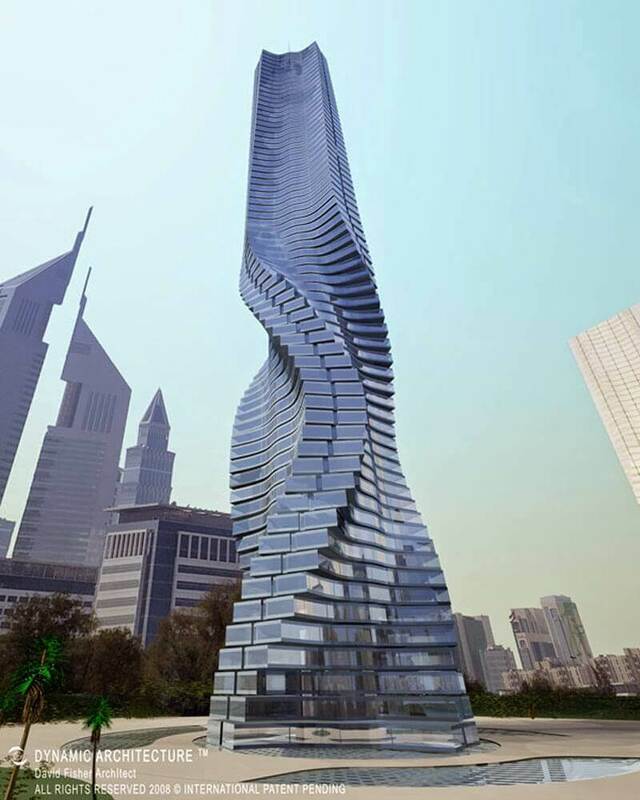 The Rotating Tower is an 80 storey moving skyscraper designed by David Fisher located in Dubai. Each floor of the tower rotates to a maximum of 6 mtr per minute. 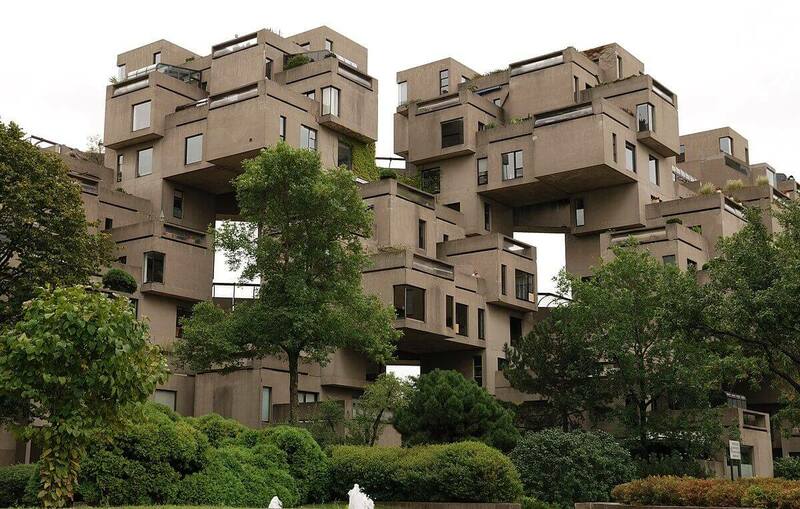 Habitat 67 is a model community and house complex in Montreal, Canada. This is designed by architect Moshe Safdie. The Olympic Stadium is a multipurpose stadium in Canada. 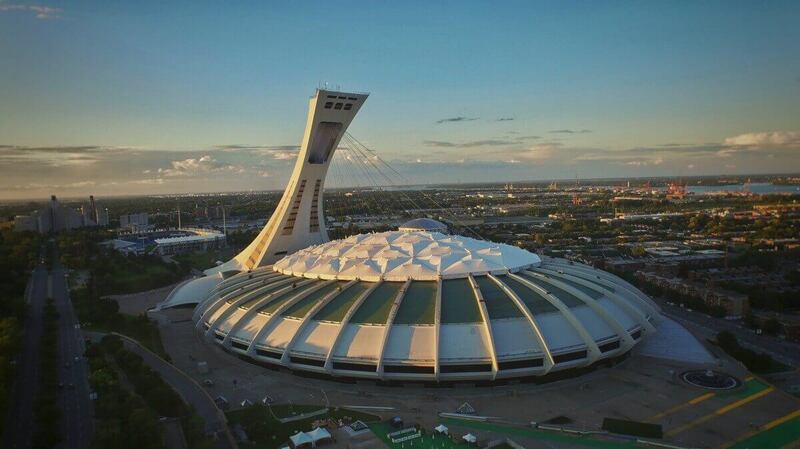 It is located in Olympic park in Montreal. It was built in the mid of 1970’s. 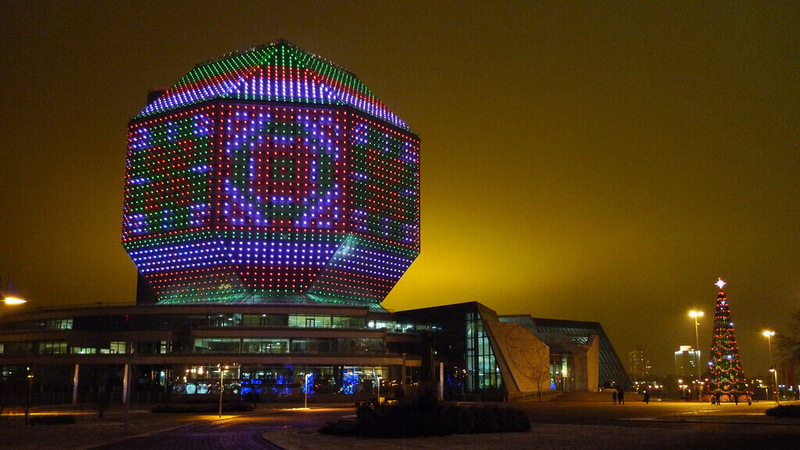 The National Library of Belarus was founded on September 1922 and is a copyright library of the Republic of Belarus. 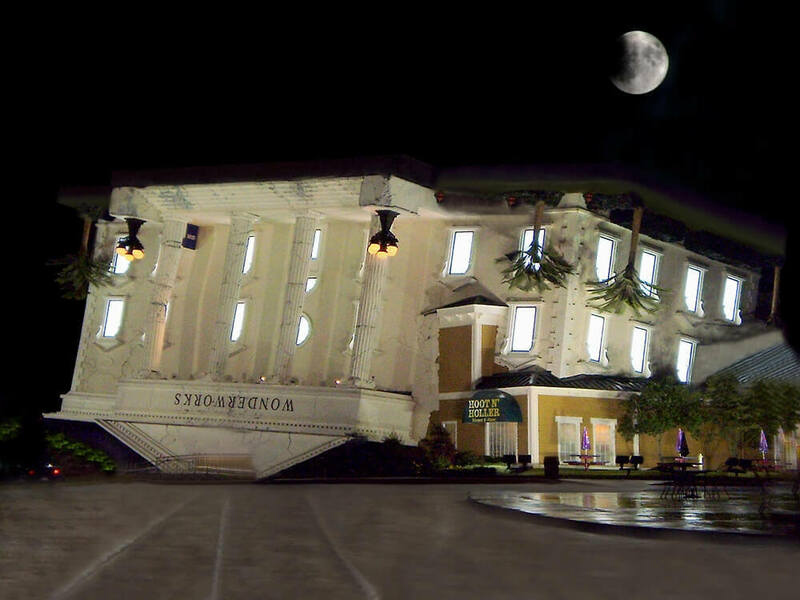 Wonderworks is an entertainment center that is entirely focused on science exhibits. It is located at five different locations in the United States. 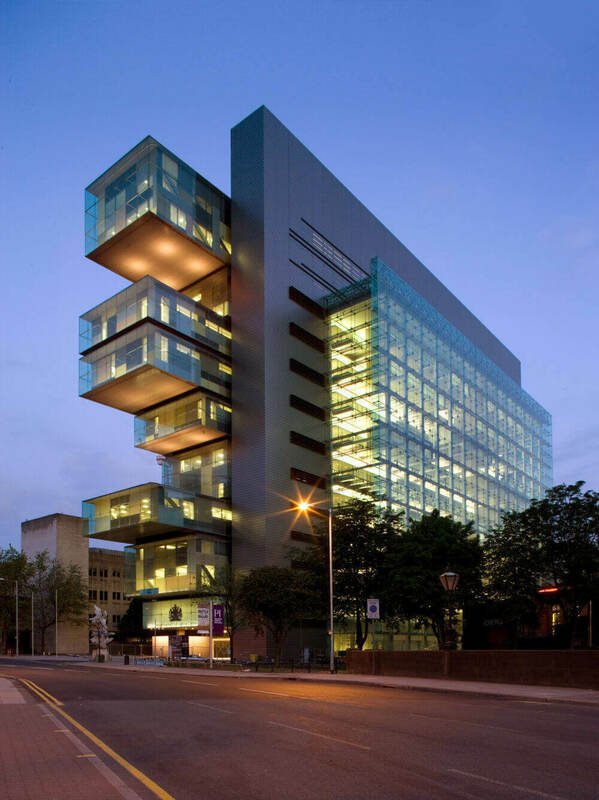 Manchester Civil Justice Centre is a governmental building located in Manchester, England. The building contains the country court and the district registry of the high court in Manchester. 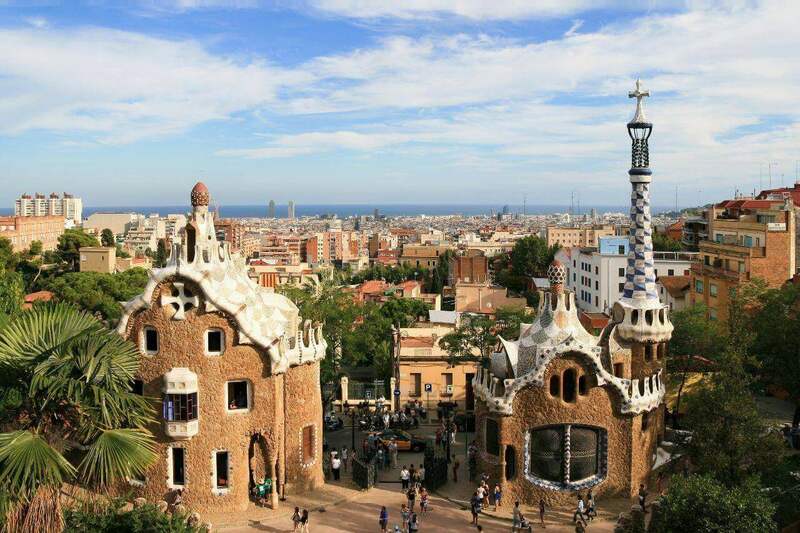 Mind House is situated in Parc Guell on the hill of el Camel. It is the creation of the architecture Antoni Gaudi. 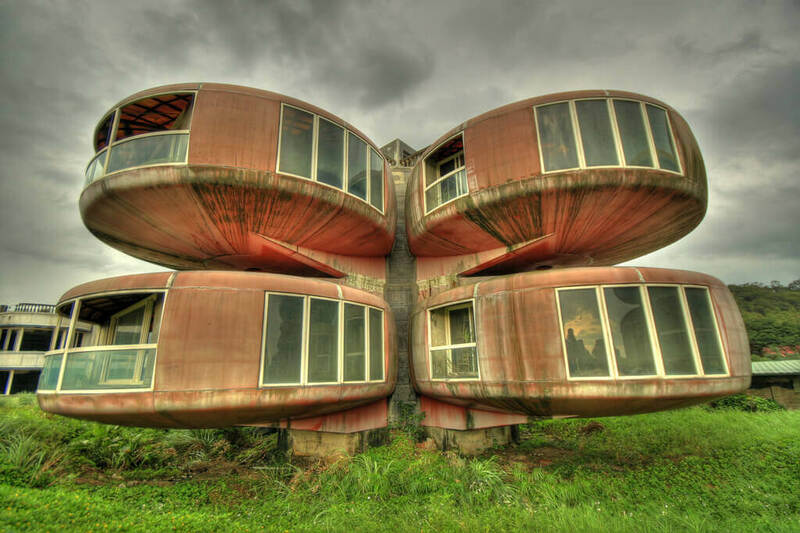 The UFO house is also known as Sanzhi UFO house or Sanzhi pod house is a an abandoned and never completed pod house in the city of New Taipei in Taiwan. 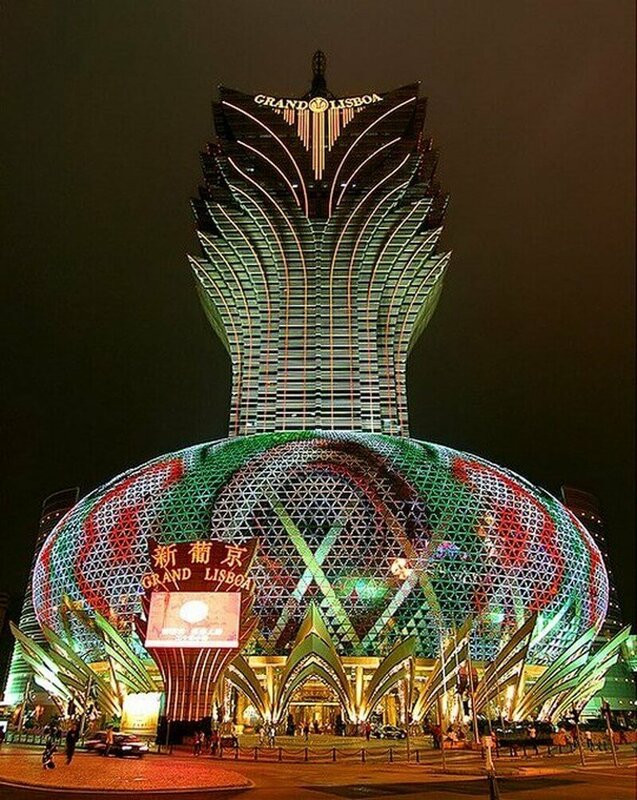 The Grand Lisboa is a hotel located in Se Macau, China and is the tallest building in the city. 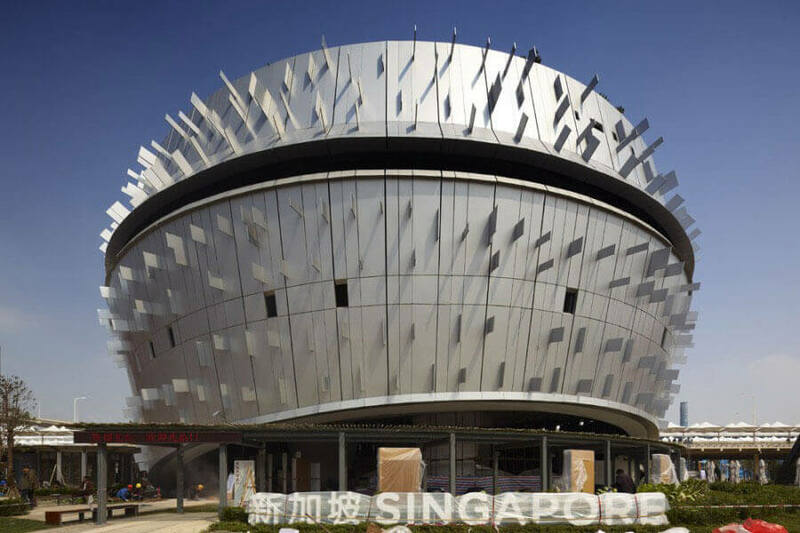 It is designed by the architects Dennis Lau and Ng Chun Man from Hong Kong. 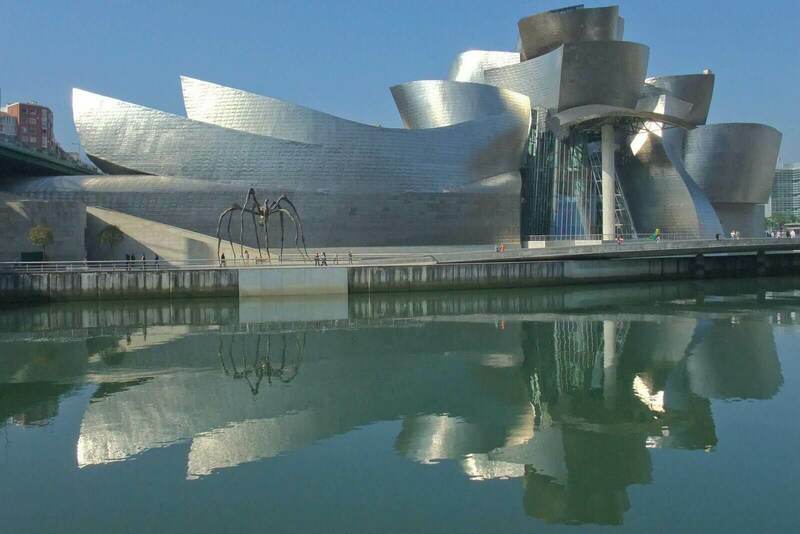 The Guggenheim Museum of Bilbao is a museum that contains modern art designed by architect Frank Gehry. The museum was established in 1997. 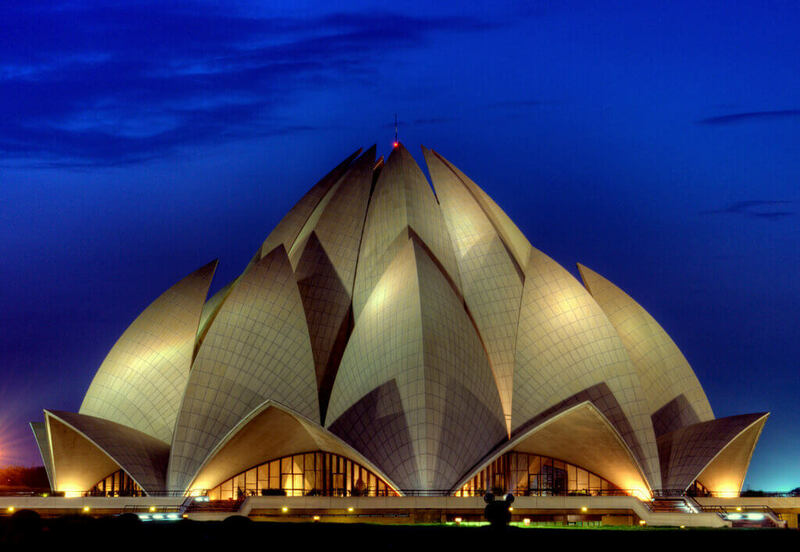 The Lotus temple of Delhi was established in 1986 and since then, it is serving as the mother temple for the Indian subcontinent. 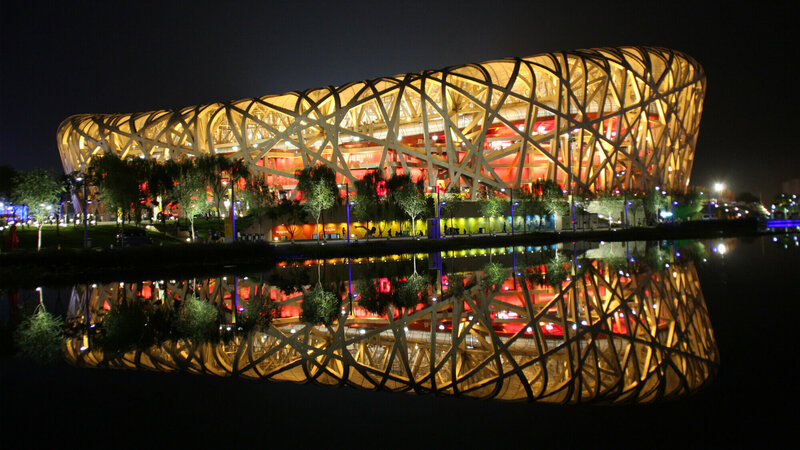 Beijing National Stadium is also known as the Bird’s Nest, is a stadium in Beijing. The Beijing National Stadium has the capacity of 80-91k people. The Lloyd’s building is the home for the institution Lloyd’s institute of India. The construction of the building lasted for 31 years. 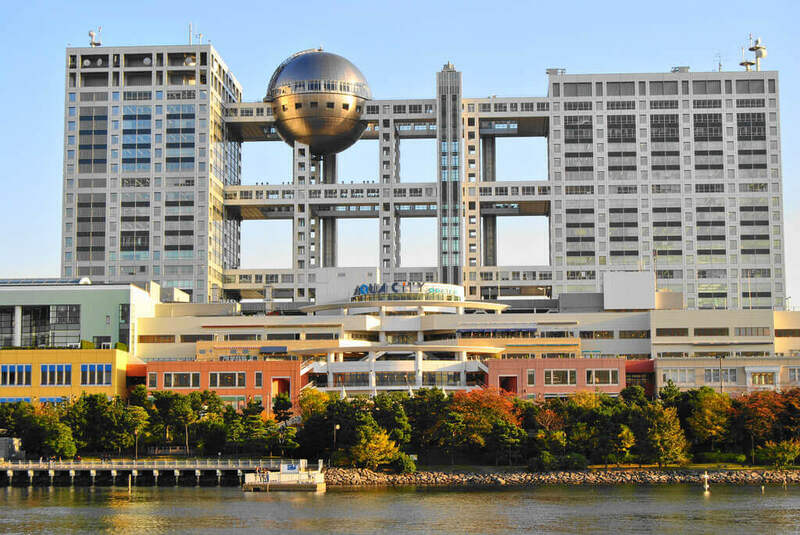 Fuji Television building nestles the headquarters of the Japanese television based in Tokyo, Japan. It is the flagship station of the Fuji News Network. 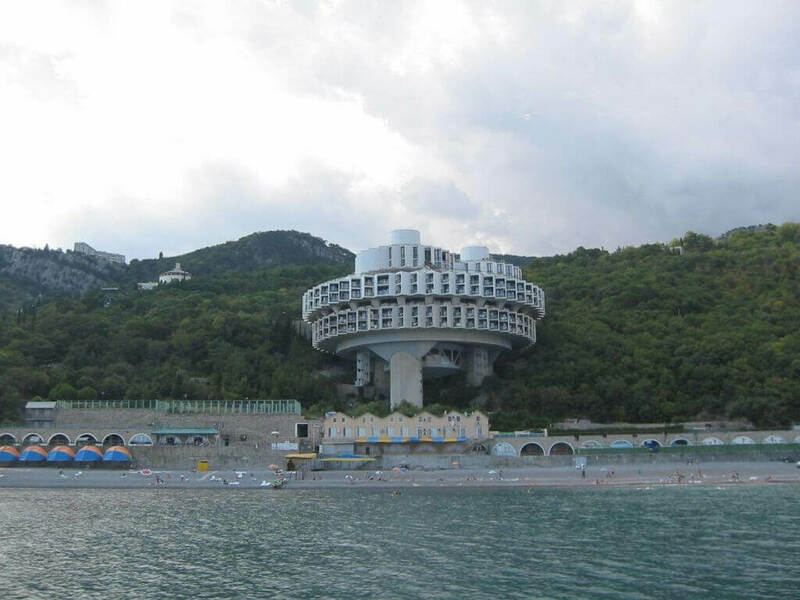 Druzhba Holiday Central is a hotel that was built in 1984 by the architect Igor Vasilevksy located in Yalta, Ukraine, an exclusive resort town. 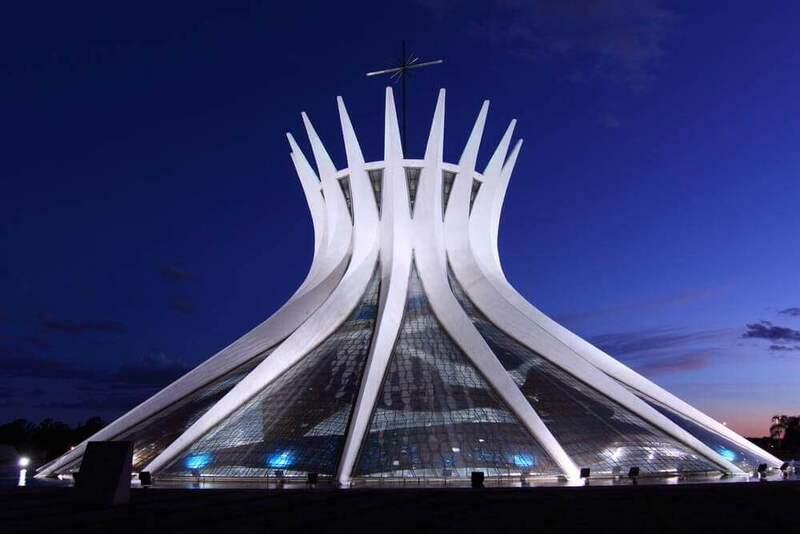 The Cathedral of Brasilia is a Roman catholic cathedral in Brazil. It was designed by Oscar Niemeyer in 1970. The cathedral is uniquely constructed with hyperboloid structure forming 16 concrete columns. 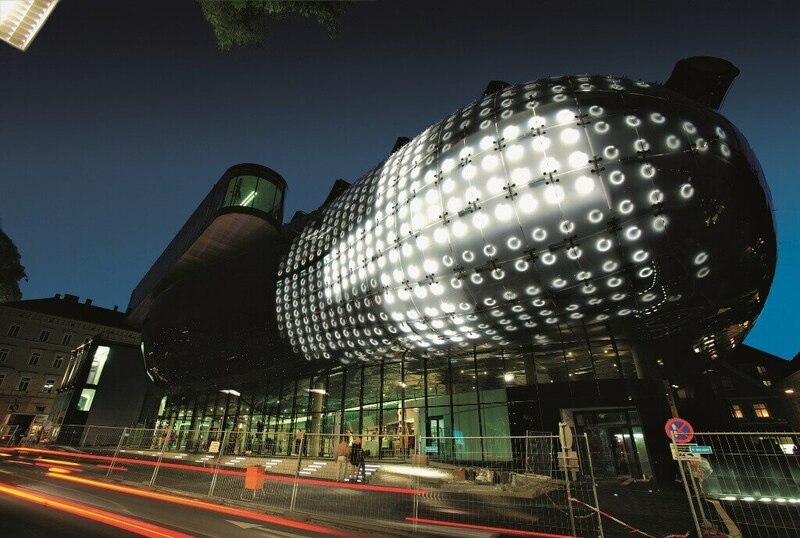 The Kunsthaus is an art museum built as a part of the European Capital of Culture celebrations. Its exhibition program specializes in contemporary art of the last four decades. 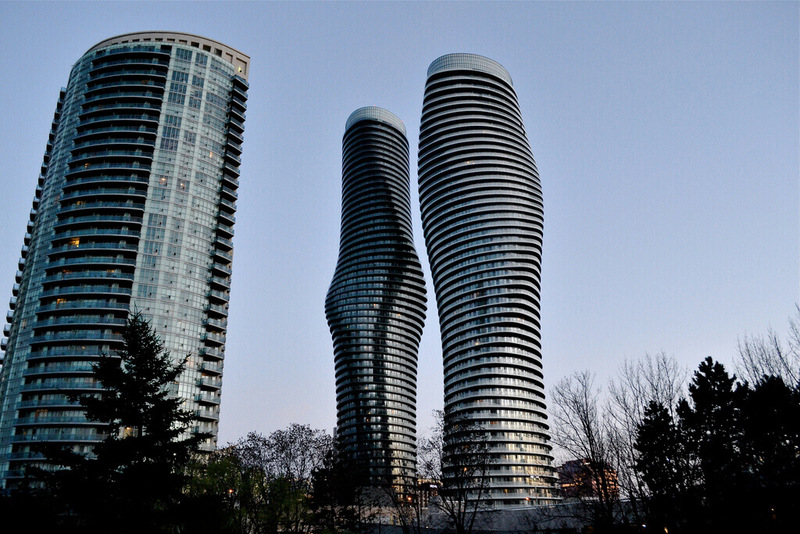 The Absolute Towers are the twin skyscrapers used for residential purpose located in Toronto of the Canada. They stand at 170 and 150 metres above the sea level. 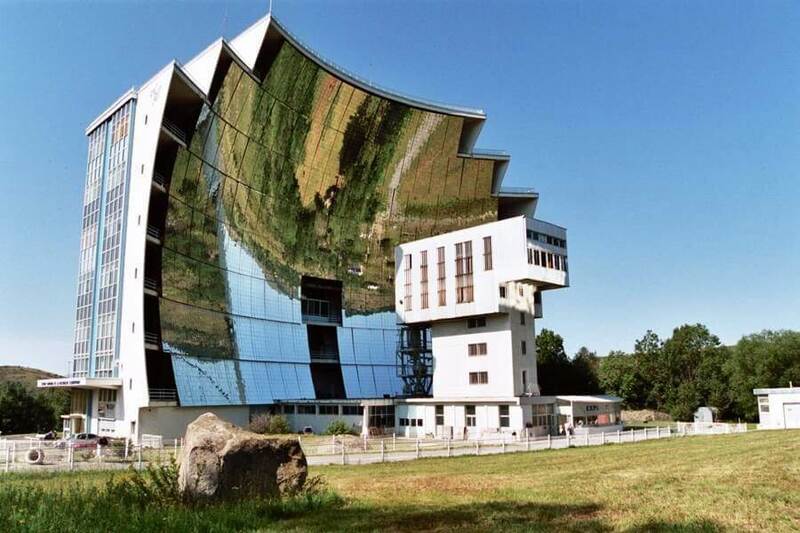 The Solar furnace in Odeillo is the world’s largest solar furnace situated in Font-Romeu-Odeillo-Via. It was opened in 1970 and has a power of one megawatt. 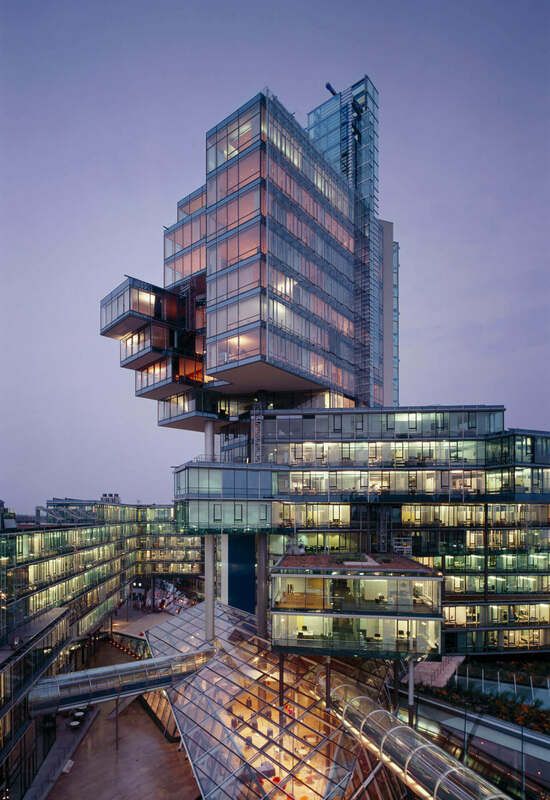 The 50Hertz headquarter is a building located in the heart of Berlin near the museum of contemporary art. It represents the beauty of art and great architecture very nicely. 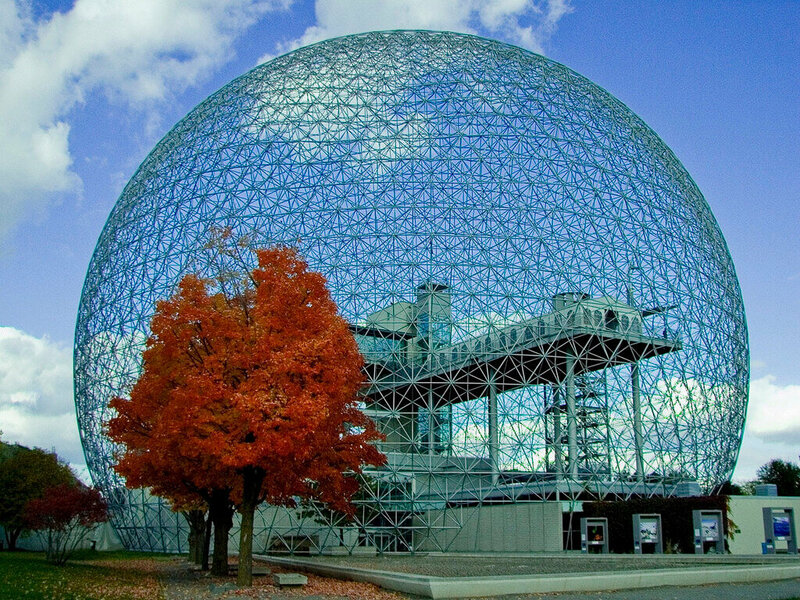 The Montreal Biosphere is a museum located in Montreal dedicated to the environment. The museum’s geodesic dome was designed by Buckminster Fuller. The Norddeutsche Landesbank Girozentrale is a German Landesbank and one of the largest commercial banks in Germany. 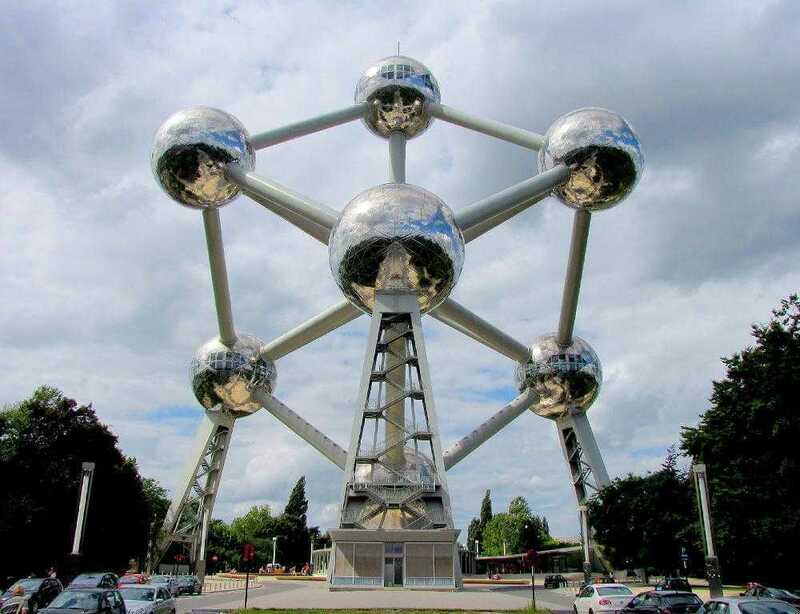 The Atomium is a landmark in the Brussels. It was constructed in 1958 for the Brussels World Fair Expo. It was designed by the engineer André Waterkeyn. 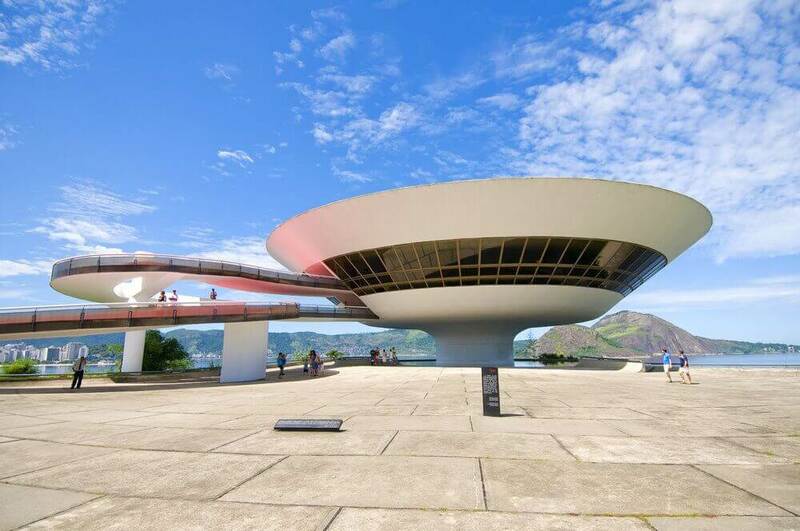 The museum of contemporary art located in Niteroi and is one of the most popular landmark of the city. It was built in the year 1996. 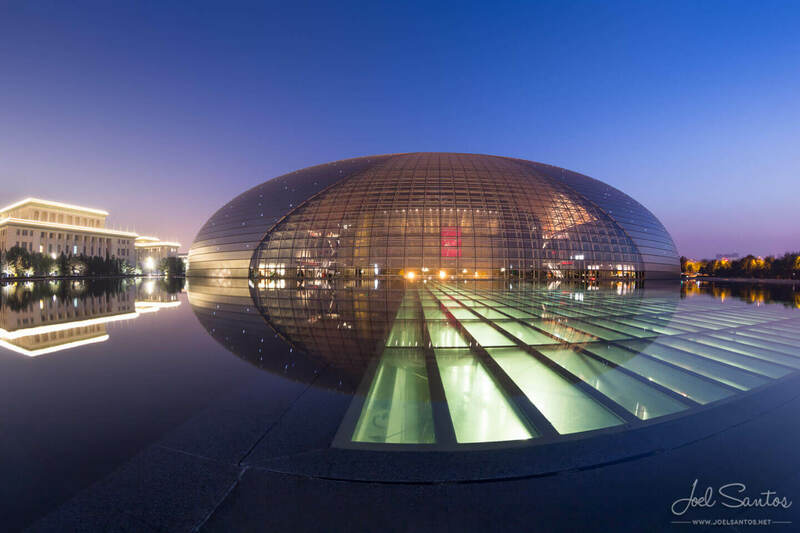 The national theatre is an arts center with an opera house in Beijing. The construction of the theatre was started in 2001 and ended in 2007. 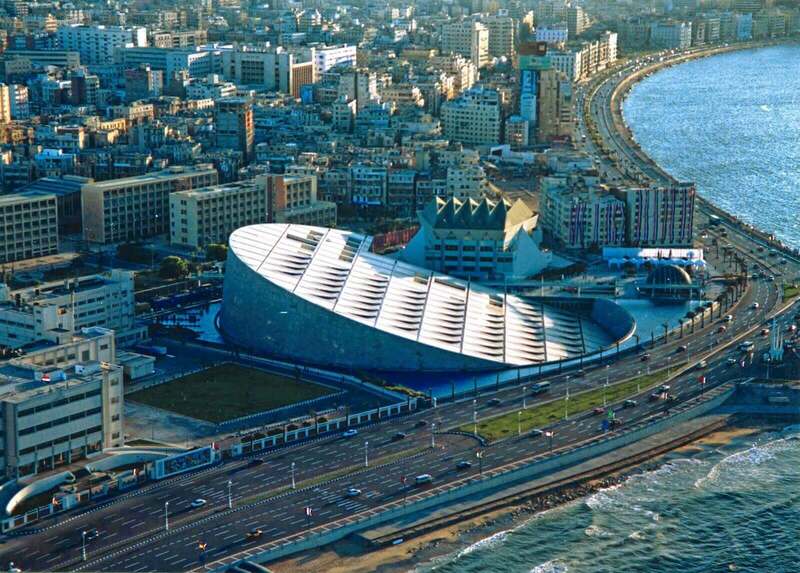 The Bibliotheca Alexandrina is a major library cultural center located in the Egyptian city of Alexandria. It was established in the year 2002.